A former golf course is the newest addition to the Lorain County Metro Parks. 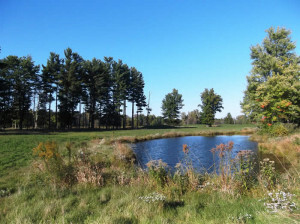 The park district partnered with the non-profit Western Reserve Land Conservancy to purchase the 97-acre former Royal Oaks Golf Club in the village of Grafton. 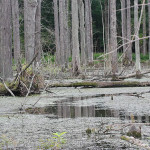 Funding for the purchase came from the Clean Ohio Conservation Fund, a voter-approved source of revenue for projects preserving natural areas in the state, and the park district. 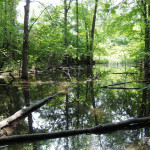 The property is now part of the Metro Parks’ Indian Hollow Reservation and preserves approximately 2,100 linear feet of the East Branch of the Black River as well as wetlands, vernal pools, forest and open meadows. The project connects two separate parcels of the Indian Hollow Reservation and expands the park’s overall size to 726 acres. It also protects the habitat of the Long Beech Fern, a potentially threatened species in Ohio, as well as that of the bobcat, once a state-listed species. “This project is another great example of what can be accomplished through partnerships. The former Royal Oaks Golf Club has incredible natural assets and is a great addition to the Indian Hollow Reservation,” said James Ziemnik, director of Lorain County Metro Parks. Joe Leslie, director of acquisitions for the Land Conservancy, said the organization was “grateful to be able to assist such an excellent park system in the acquisition of this property, which we view as extremely important to protecting the habitat of a number of species of plants, animals and birds.” He said species spotted there include juvenile bald eagles, a fledgling great horned owl and native and migratory birds. Built in 1995, Royal Oaks Golf Club was designed by the father and son team of Max Jalowiec, Sr. and Jr. The 18-hole course, which has been closed for several years, featured eight holes with water hazards in the form of lakes. The Indian Hollow Reservation area and watershed of the East Branch of the Black River are important examples of the geological changes in the terrain created by the Wisconsin Ice Sheet glacier around 12,000 years ago. Movement of the glacier as it rode high over the ancient sandstone outcrop created what is now Indian Hollow and exposed fine sedimentary rock. Water erosion occurred at an unprecedented rate as the Ice Sheet melted creating a shallow channel through the sandstone which continued to deepen until the East Branch of the Black River was born. As the glacier retreated northward, the climate moderated and beech-maple forest became the dominant habitat in the area. This is the Land Conservancy’s second project in which a closed golf course has been converted into a park. 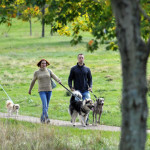 In 2010, the Land Conservancy completed a transaction in which the former 237-acre Orchard Hills Golf Course in Chester Township became Orchard Hills Park, one of the Geauga Park District’s most popular destinations. The Lorain County Metro Parks system was formed in 1957 and has steadily grown to more than 9,000 acres. Since 1986, the number of programs offered by its naturalist department has grown from 386 to more than 1,600. Western Reserve Land Conservancy, which is based in Moreland Hills, has permanently preserved more than 550 properties and nearly 40,000 acres in northern and eastern Ohio and does urban revitalization work statewide.